Do you dream in purple? Purple may symbolize mystery and therefore represent, in psychological terms, deep intuition or awareness of some type as yet unexplored dimension of the self. Come, enter my dream world. A doorway to a violet-coloured world. 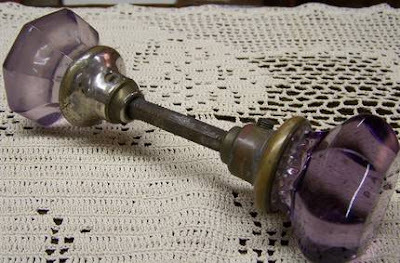 Let this vintage glass doorknob lead you through. Find it in the shop of Cariboucreek. 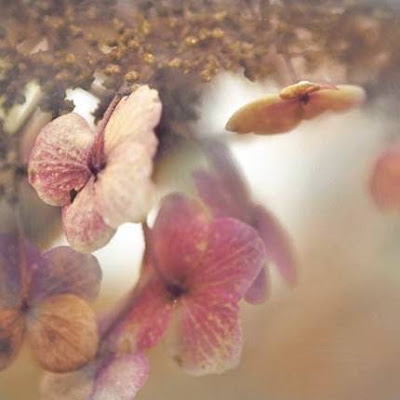 View the world through orchid-hued glasses. 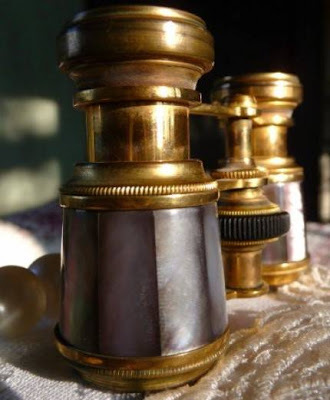 Vintage mother-of-pearl opera glasses from cherrylippedroses. 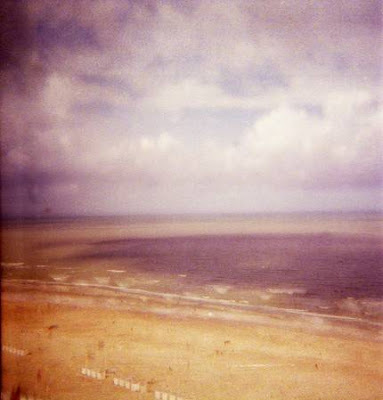 A dreamy pinhole photograph of OostDuinkerke, Belgium where sandy beach meets a melting purple sky. This photo is from the shop of benconservato. Breath deep the scents of plummy-toned blossoms that surround. These hydrangeas join us from the shop of RaceyTay. Discover these mysteries whilst you can, as dreams you know, are fleeting. As they slide from your subconscious rest your head once more, soundly upon a fleecy purple pillow. 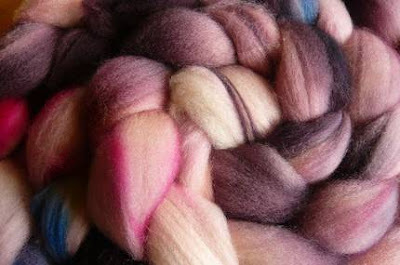 Wool roving from the shop of portfiber. I tell you about awesome shops.Their winter boots have wonderful quality also and low price, almost factory outlet and clearance sale. There is a special cateloge Power Balance,if you are looking for clearance items, you can just simple choose this option and pick what you want.You should try to experice it. Never let you feel down.